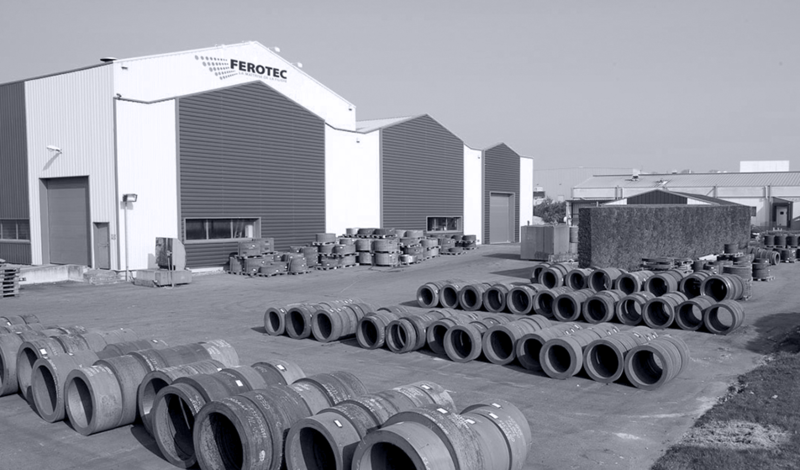 At Ferotec, we have deliberately chosen to devote ourselves wholly to die production, enabling us to provide our clients with specific solutions and keep in step with the changes to their products. The company is constantly adjusting its production resources to address the needs of new markets. Ferotec has supplied animal feed pelleting plants since its inception. Today, while this output still accounts for almost 80% of our turnover, we also supply manufacturers of fertiliser, wood pellets, the waste recycling industry, and other clients. The company adjusts die drilling diameters, compression ratios, and thicknesses to cater for each product and each client request. 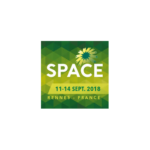 Ferotec’s partnership with France’s Technical Centre for Mechanical Industry, CETIM, allows us to enlist the help of specialist engineers and researchers to work on issues such as die heat treatment. With 40 machine tools, 20 gundrilling machines, and two heat treatment furnaces, our Grand Fougeray facility draws on this partnership to further improve the reliability of our products and optimize the drilling process. 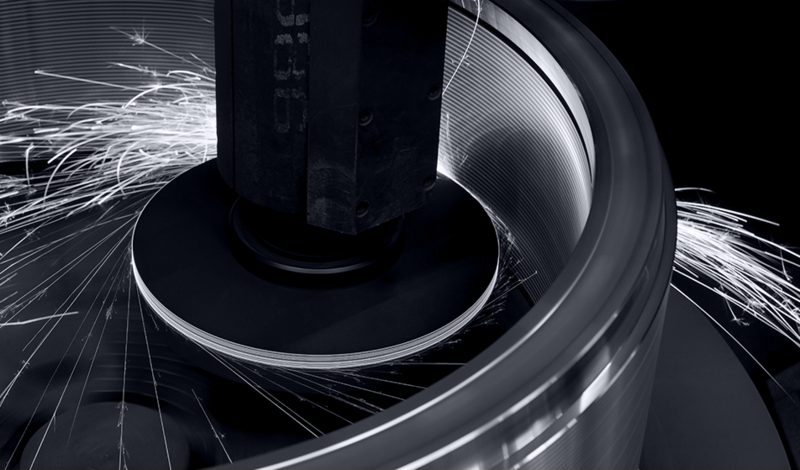 This work is pursued on a constant basis, allowing us to be fully proficient in cutting-edge technology. We produce over 2800 dies every year. All our machines are digitally controlled. The facility operates round the clock. Dies start out as blanks. The use of forged steel rings ensures better stress resistance. Each ring is inspected prior to being used in the manufacturing process. Ferotec has a large stock of rings, allowing us to ensure short manufacturing lead times. The turning stage gives the die its final form; any shape of die can be produced. Ferotec’s state-of-the-art equipment allows us to ensure short manufacturing lead times and high-quality execution. 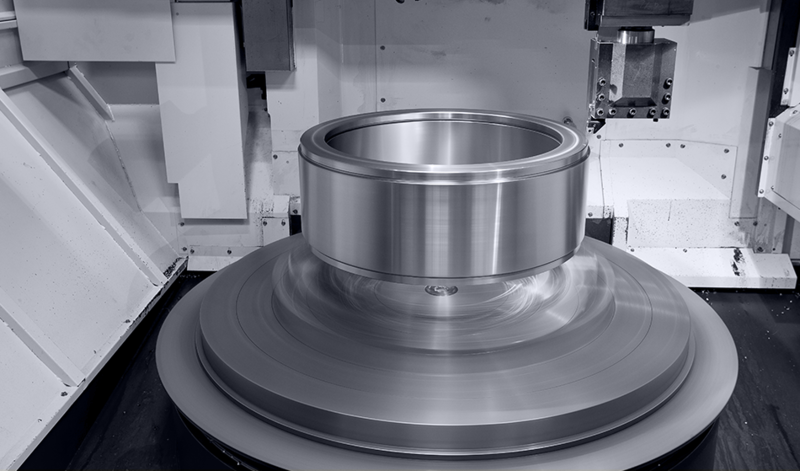 Our machine tools are fully automated. The drilling process produces polished holes so that the die can be used immediately. 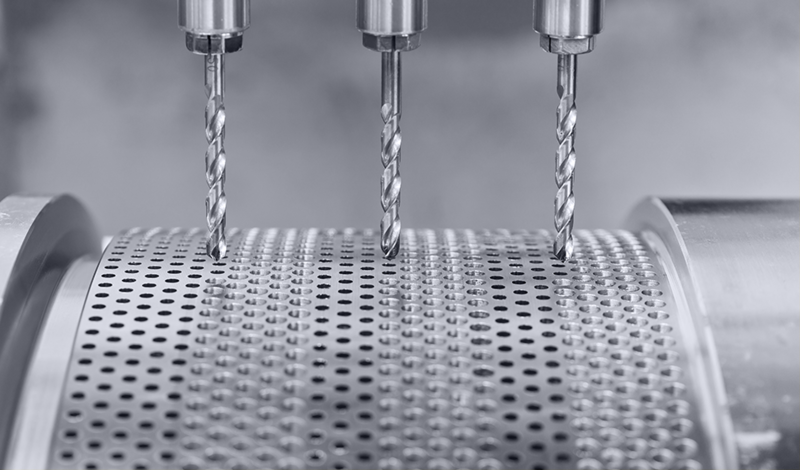 Ferotec uses carbide-tipped drill bits to ensure the hole surfaces are as smooth as possible. The start-up process for dies is straightforward; the product passes though quickly; there is no need for running-in. Ferotec has a manufacturing line especially devoted to flat dies; the drilling technology used is similar to that for ring-shaped dies. The drilling characteristics are specially adjusted in view of all the relevant considerations by Ferotec. This ensures the die has a longer lifespan and is extremely robust when used with difficult products with high fibre content such as wood, straw, sugar beet, minerals, used tyres, etc. 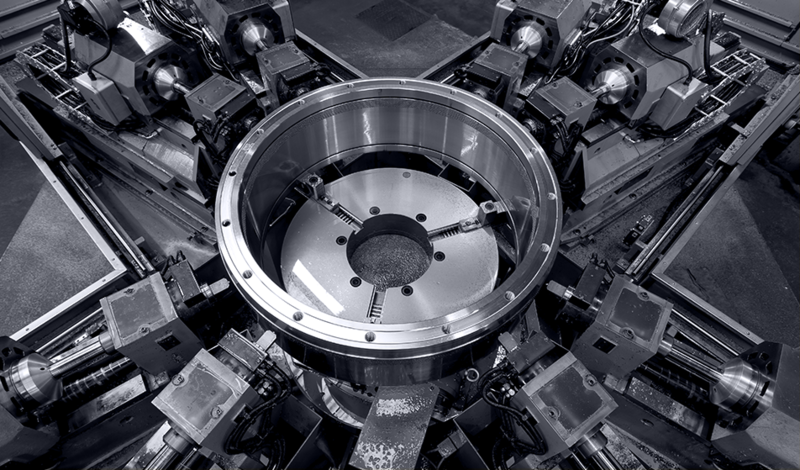 Counterboring makes the die stronger and ensures the pellets are properly discharged from the compression hole. Counterboring can be tailored to various requirements: it can be standard or stepped, as well as conical and/or cylindrical. Counterboring on a number of external rows allows the whole of the track to be used and provides optimum flow rates. Heat treatment hardens steel to between 53 and 55 Rockwell C. This makes it more wear-resistant, and makes the die suppler and more resilient. 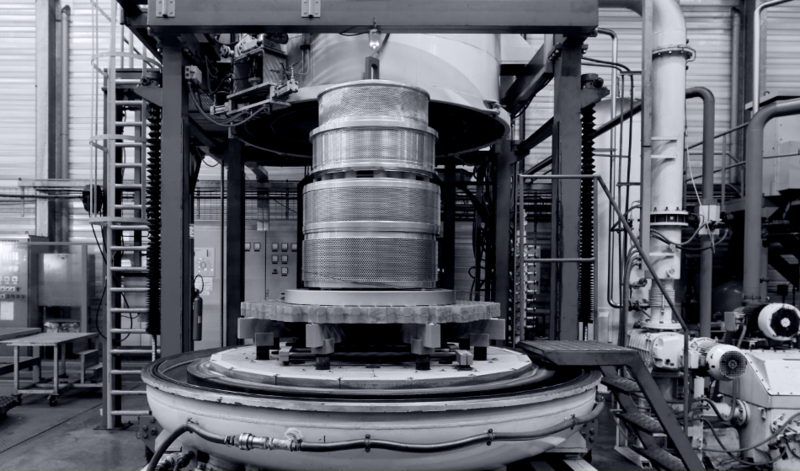 Core treatment takes place in a vacuum in one of our two furnaces, at temperatures of up to 1000 °C. The cycle may take up to 20 hours and depends on the load. 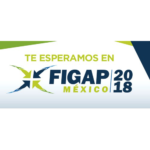 Inspections are carried out at every stage of the manufacturing process. We pay extra special attention to the stages following heat treatment. 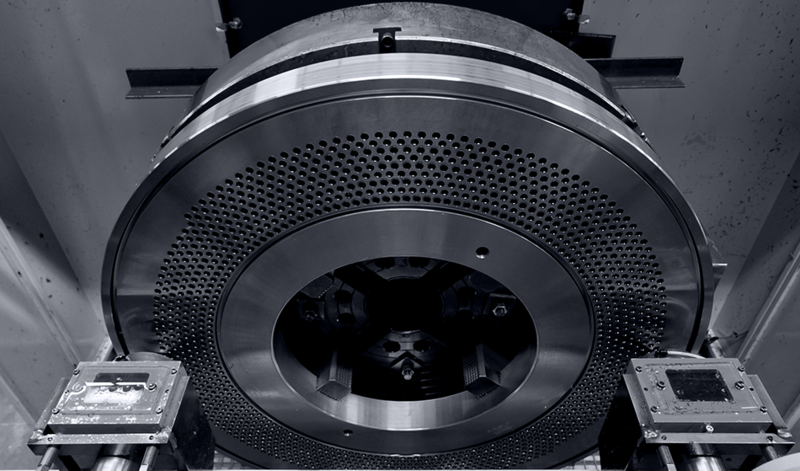 Each die has its own markings specifying the alloy, the hole diameter, the thickness, and the compression length.